More than 400 million people read more than 21 billion blog pages each month, and this is just on the WordPress platform. Imagine what this number would look like if we’d have the date for the other CMS platforms. However, it seems that small businesses still haven’t grasped the importance of having a blog, being that a large part of them don’t even have a website. The common notion among small business owners is that setting up and maintaining a blog takes a lot of time and effort and that it simply isn’t worth the trouble. But as we approach the year of 2019 it is imperative to jump in the bandwagon and get a chance to share your stories with an audience that can be turned into customers. Here’s why. Competition is harsh these days, regardless of your industry and the quality of your service or product. The key to distinguishing yourself from “the others” is to get your customers to trust you and to turn to you whenever they have a question related to your branch. The content you are writing can be used to share your expertise in a certain subject area by providing your readers with high-quality information. Over time, the readers will be so used to going to you for information and you will become the go-to source they trust. 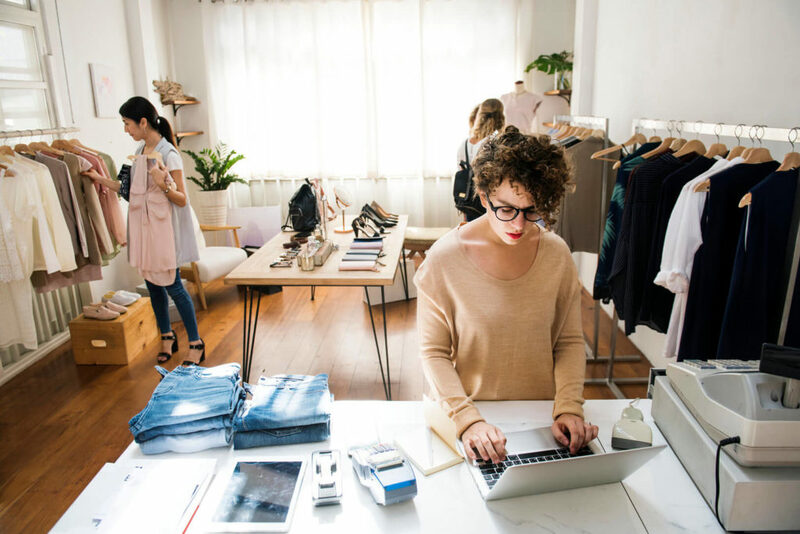 If there is one thing the online business world lacks when compared to brick-and-mortar stores, that is the personal connection retailers and managers have with the customers. Having a blog gives you the chance to make this right and to connect with the readers on a more personal level. By adding a dose of individuality and making yourself more approachable you are creating a bond with your readers, and they are becoming a part of a community. Of course, you need to encourage the interactions both with you and with one another and facilitate an active comment area to strengthen the bond. As you see, a large part of building a community includes being more personal with your customers, but what exactly does that mean and why is that good for you? Well, here’s an example: the Coca-Cola bottle is the most recognizable object on Earth, and the story of the making of this beverage is well-known across the world. John Pemberton originally started by selling it as medicine, and before long people started drinking it for pleasure. This is an interesting story known to almost everyone, and it is a part of the syrup’s charm. Stories like this make your product and company closer to people, and a blog is a chance to share them with the world. Year by year, SEO continues to grow, innovate, evolve, and influence other channels. Every year the factors are different. The most essential thing you should know for now is that Google is prioritizing quality over quantity, and this is something to have in mind the moment you decide to start a blog. Find a detailed step-by-step guide for starting a blog, and take it from there. But how is all this helping your SEO? Well, if you are constantly adding organic quality content Google will boost access to your website. Relevant keywords are the easiest to add naturally in your blog content, so there is no doubt Google will index your site, and push it on the first pages of the web search. If you decide to separate your business website from your blog (which is often a smart thing to do) this secondary location will help you drive visitors to your online store, contact page, and products and services through in-content links. Finally, a blog can and should be a part of your overall marketing strategy. Have you heard of content marketing at all? It is a concept that includes attracting customers through relevant content – actually everything we wrote about above. Here’s a stat for you: Businesses which are using blogs as a part of their content marketing strategy are getting 67% more leads than those that are not. People trust blogs more than commercial pages. Blogging is essential for social media success. It is also an excellent way to attract guest bloggers, to reach out to influencers, and share your story on other relevant blogs with an adequate audience. As you see, not having a blog in 2018 is already a disaster. Not having a blog in 2019? Well, it could quite possibly be the key to your downfall. So, don’t wait for a second longer to start crafting a blog for your small business. It will take some time and effort, but at the end of the day, it is the only way to go if you want a fair fight with your competitors.